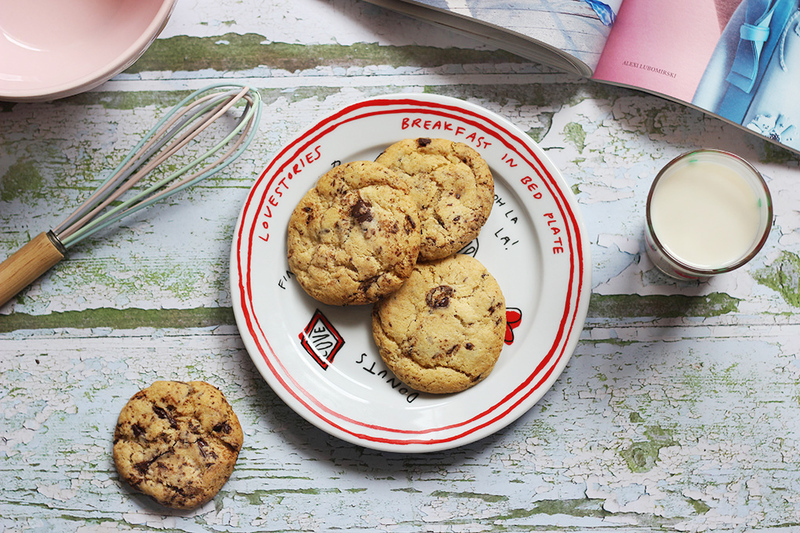 Everyone love cookies, especially when they're soft, chewy and full of chocolate. 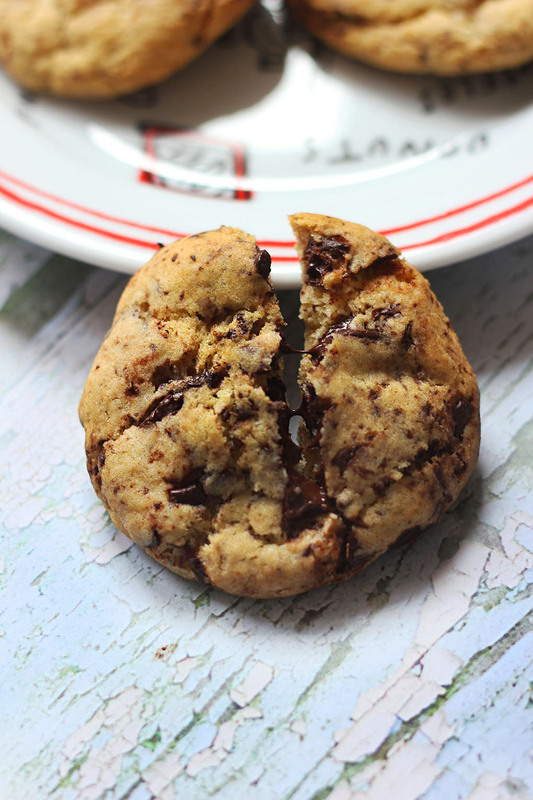 With so many people following a vegan and dairy free diet at the moment I had a go at testing my very own recipe and baking some of everyone's favourite cookie, the chocolate chip. This recipe is super simple and it takes no time at all to whip up a batch, so it's really handy to have if you have people coming over. I really hope you enjoy baking these and sharing with friends and family. P.S Don't forget to serve with the traditional glass of milk (almond or soy of course). I also have another exciting cookie recipe coming up which has been inspired by everyone's favourite mythical creature... any guesses what it could be? 75g dark (vegan) chocolate cut up into small shards or you can use chocolate drops. Mix in the flour and add in the chocolate, if you're finding it hard to mix, use your hands to make the dough come together. Then pop the bowl into the fridge for 15 minutes. Spoon big teaspoons of the mixture onto your baking tray. This recipe should make around 8-9 big cookies or 20 smaller ones. Then put them into the oven for 15 minutes or until golden brown. These cookies should last for up to a week in an airtight tin but I doubt they'll last that long!